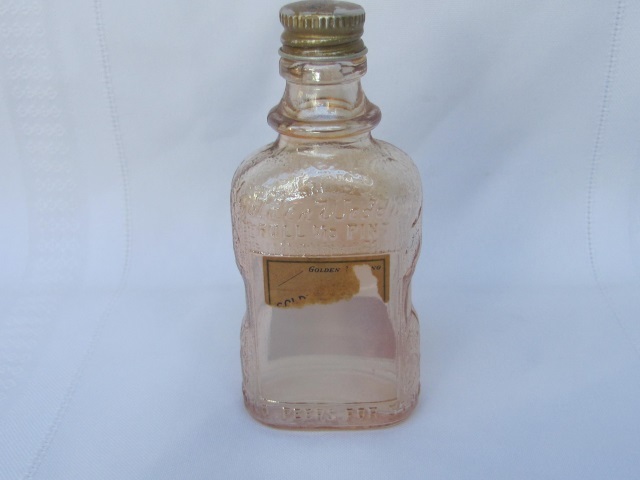 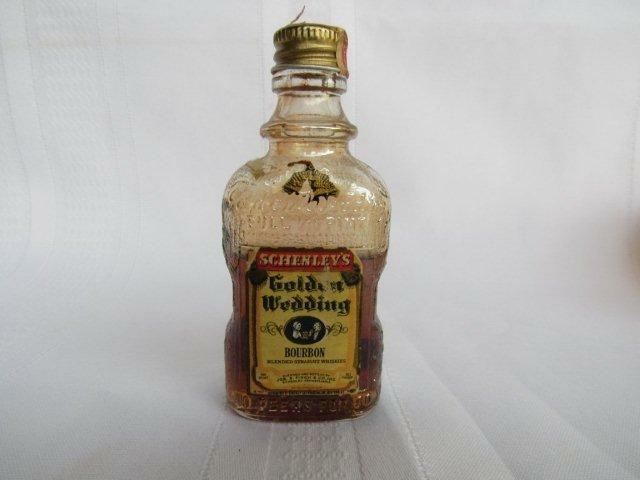 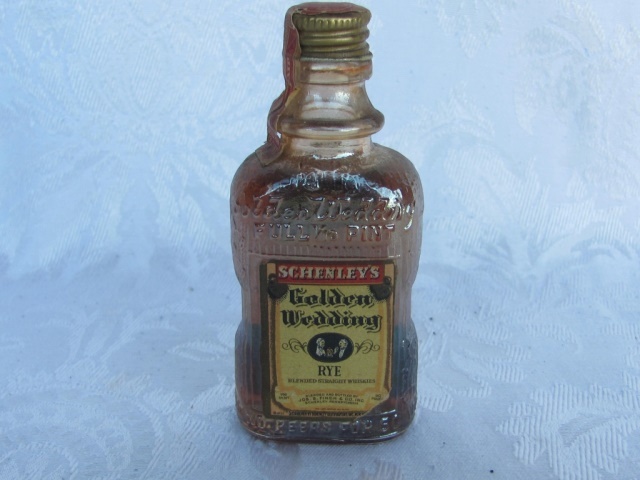 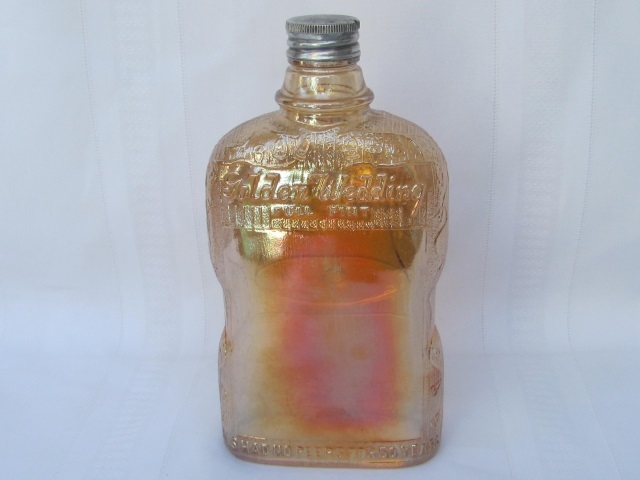 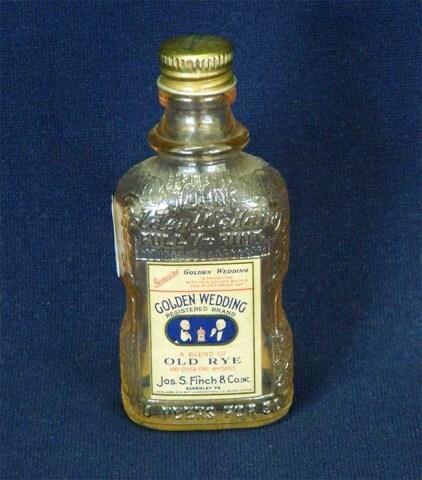 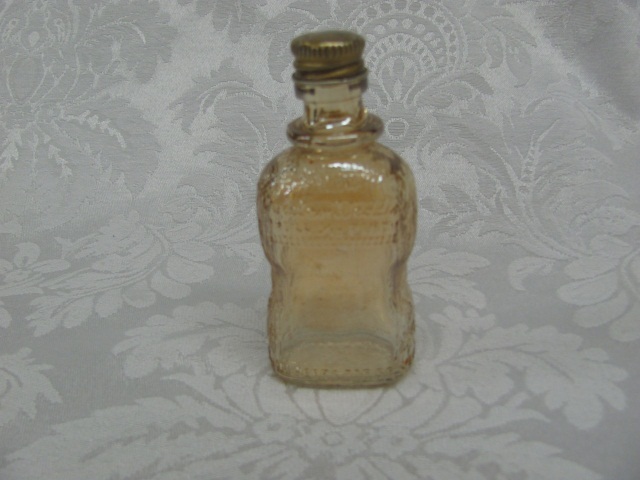 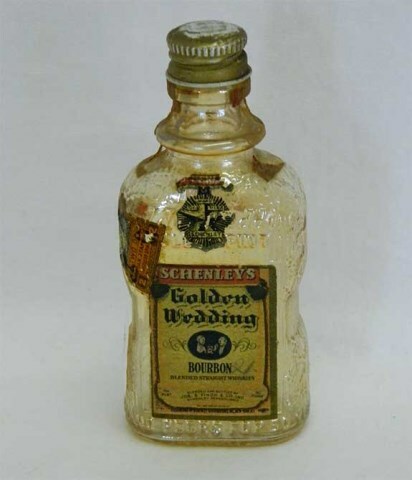 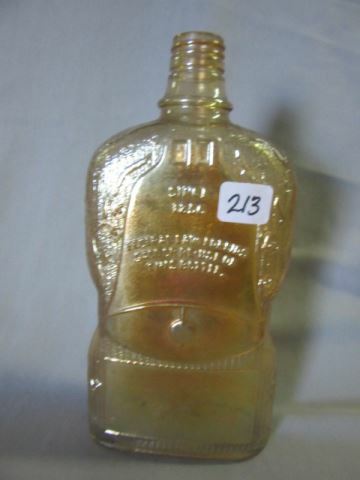 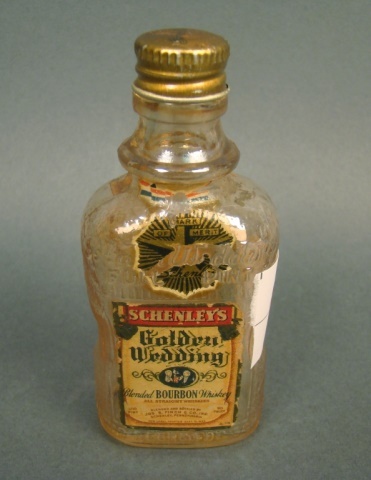 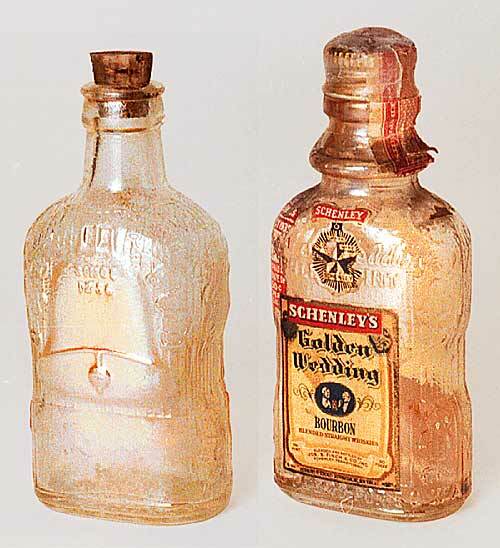 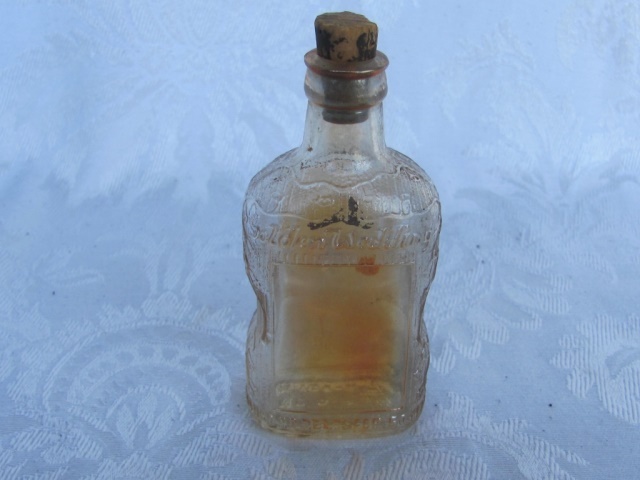 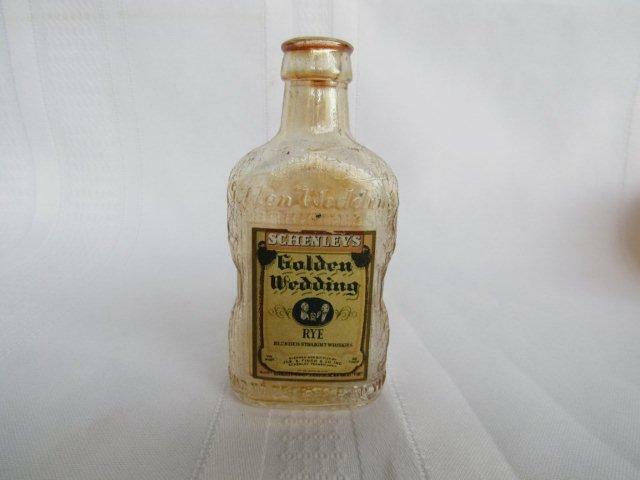 Best known of the various Carnival whiskey bottles, Golden Wedding is found in five sizes: nip (1/10th pint), 1/2 pint, pint, quart, and two quart. 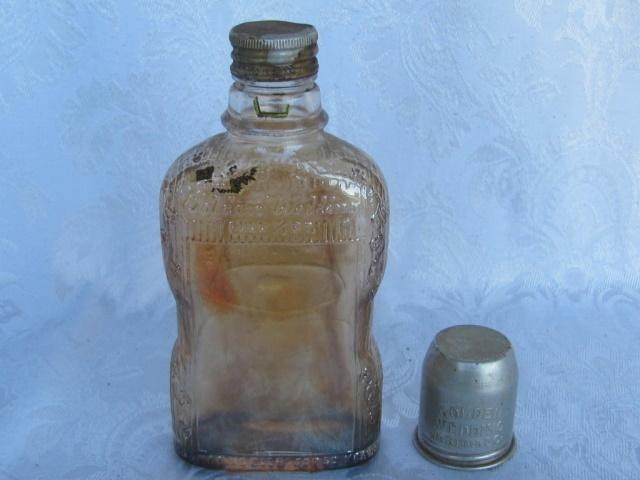 These two have different closures; one with cork style (presumably older) and one with screw top. 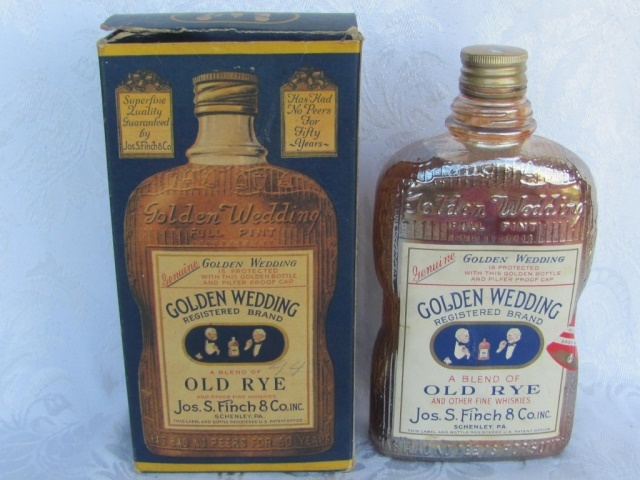 Both are courtesy of Carl and Eunice Booker. 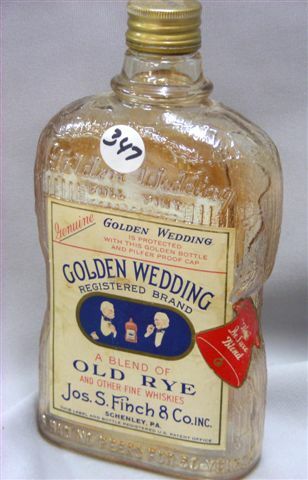 Bottles with labels bring more money–the better the label, the better the price. 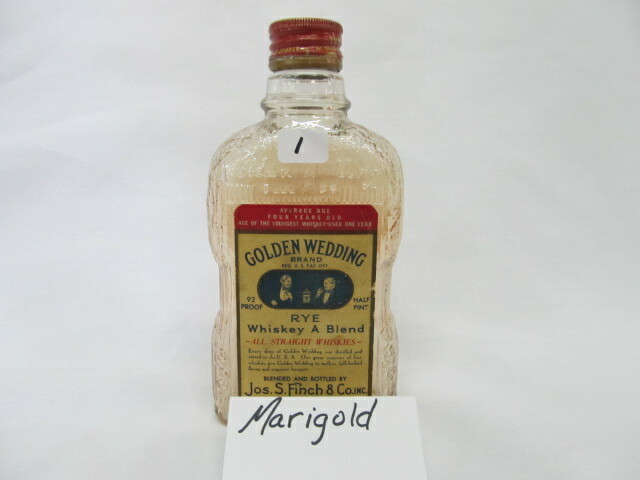 Known only in marigold. 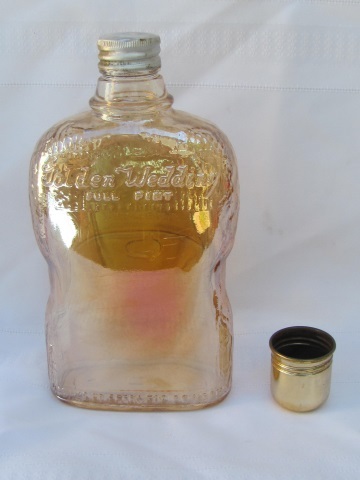 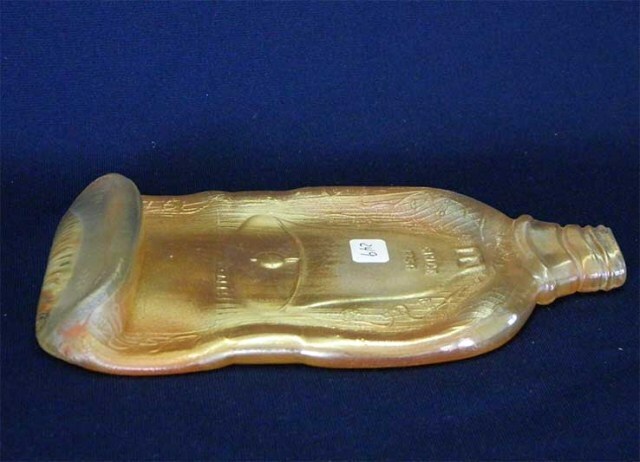 Above right Golden Wedding bottle, apparently flattened by putting it in a kiln or furnace, brought $260 in 2012. 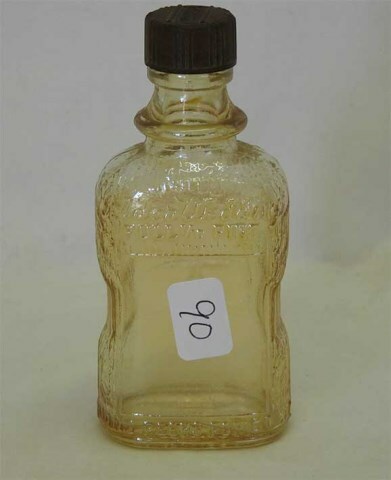 That's more than any unmodified bottle has ever brought. 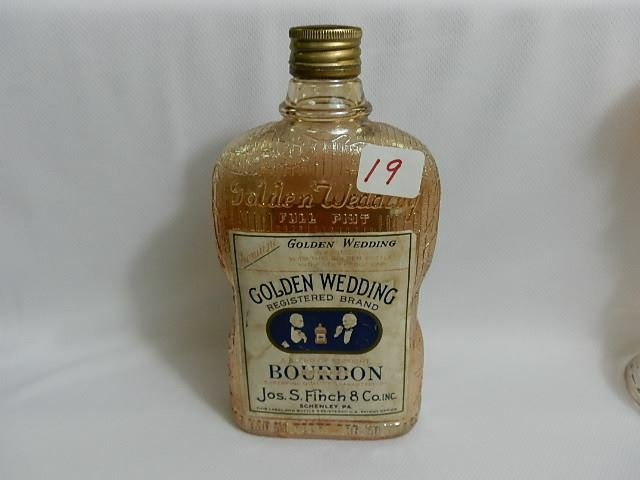 Photo courtesy Seeck Auctions.